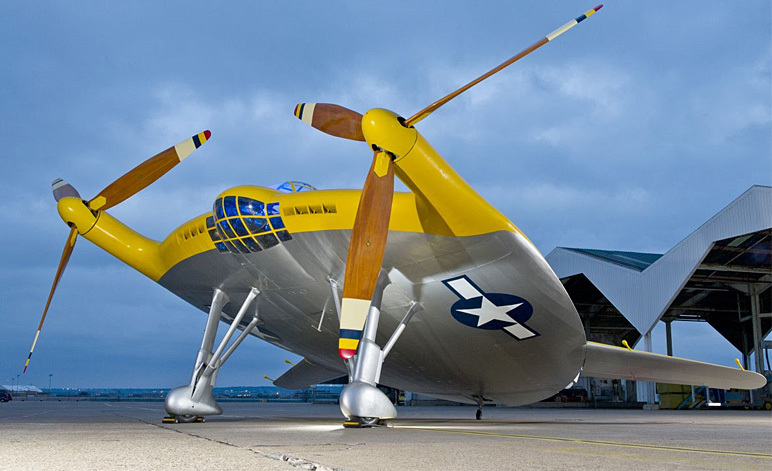 The Vought V-173 “Flying Pancake” looks very much like a 1950’s perception of a UFO. The Vought V-173 or ‘The Flying Pancake’ was an experimental WWII test aircraft built by the USA as part of the Navy fighter aircraft program. It had a daring, almost circular, “all-wing” design. The project was initiated in 1939 and flight tested by Chief Test Pilot Boone Guyton on the 23 November 1942. Evaluation of the V-173 carried on throughout 1942 and 1943. A total of 190 flights were undertaken prompting numerous UFO reports from worried Connecticut residents. The final test flight took place in 1947. 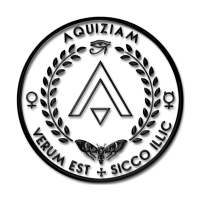 Overall, the project contributed greatly to the understanding of aerodynamics and the possibility of near vertical take offs. 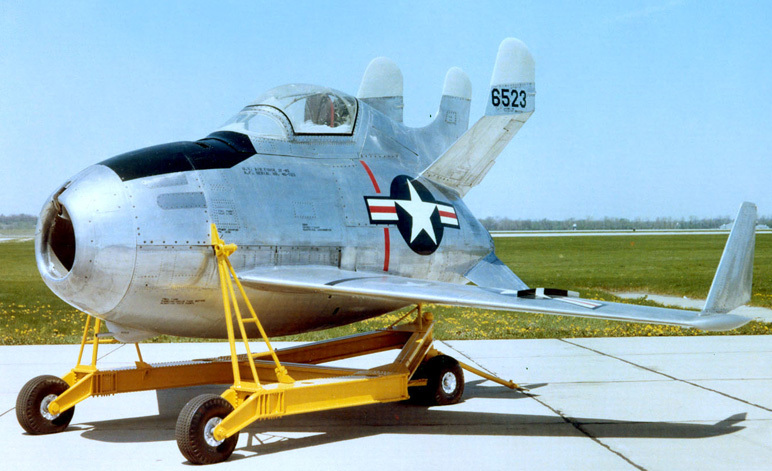 XF-85 Goblin – Looks a bit like a UFO especially when attached to a bomber. From the start of America’s involvement in World War II there was concern that US bombers would need long range fighter support. The problem was tackled in two ways. Firstly, the USA developed the Flying Fortress which was meant to be able to defend its formation on its own. Secondly, the USAF wanted to develop a fighter that could be carried by the bombers in their bomb bays. The program to develop a small (parasite) fighter started in 1942. The program was accelerated after the Flying Fortresses suffered catastrophic damage during the infamous Schweinfurt raids of late 1943 but slowed down again with the development of the P51 Mustang long-range fighter. As time went on the specification for the new aeroplane was changed from propeller to jet engine. Project authorisation was slow and the war in Europe was over before prototype development began in earnest. The aircraft showed promise but instability issues, particularly with regard to reconnecting with the mother bomber proved overwhelming. After a series of accidents the project was cancelled during 1949. During 1943 during the height of World War II, Herman Göring, the Head of the German Luftwaffe demanded that Deutsche industry should design and build a fighter bomber capable of carrying 1,000 kilograms of explosives to targets 1000km from their bases at a speed of 1000 kilometres per hour. The Ho 229, designed by by Reimar and Walter Horten was the only plane that came close to the specifications set by the German military. 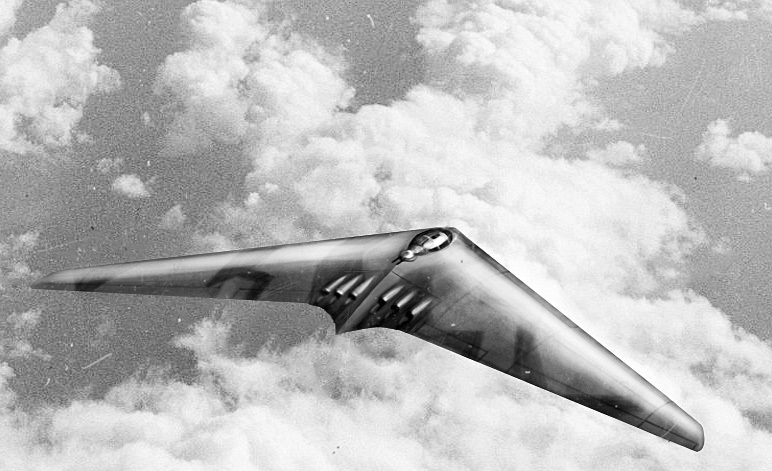 Without unnecessary external control surfaces, powered by two Jumo 004C engines, and with a flying wing configuration it was effectively the first stealth aircraft to be invented. The plane never made it into full combat before the Allies forced Germany to surrender after the fall of Berlin. 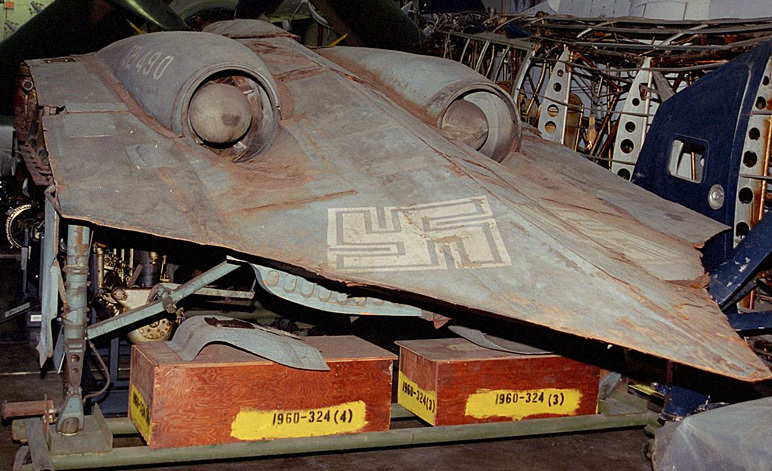 The designs and components of the HO 229 were smuggled back to America as part of Operation Paperclip. Tests later revealed that while it had a significantly reduced radar signal but would still have been visible to medium range detection systems. 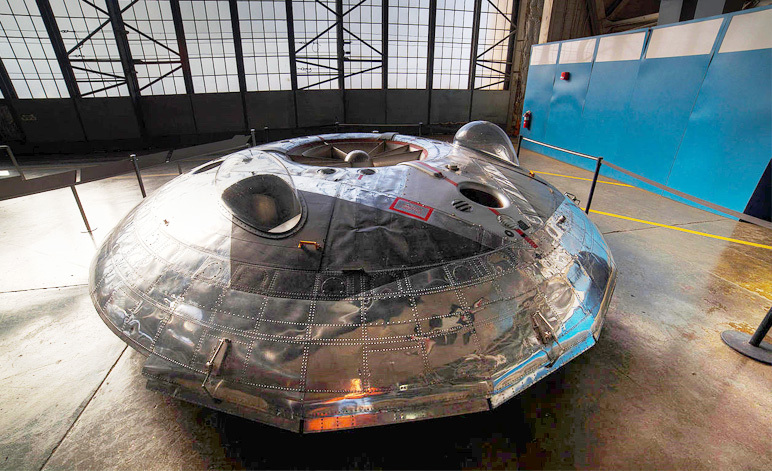 The Avro Canada VZ-9 Avrocar – Definitely a flying saucer! Convair XFY-1 Pogo VTOL with the clearly contra-rotating propellers. 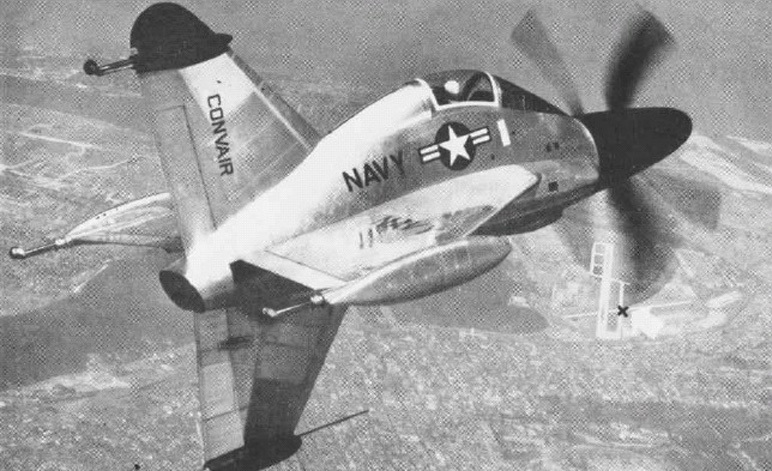 The Convair XFY Pogo tail-sitter was an attempt to create a VTOL fighter that could fly from any small warship. These concept aircraft was designed to prove that forward, contra-rotating, propellers would act like the blade of a helicopter and provide sufficient lift to raise the fighter into the air. Although the aircraft did fly its stability was never considered fully acceptable and landing the craft was near impossible. However, the main problem was the plane’s inability to slow down once it had reached combat speeds. To make matters worse, the plane was no match for other fighters being developed at the time and the project was cancelled during May 1955.